LONG BEACH — USA Triathlon, in partnership with the City of Long Beach, announced plans for the Legacy Triathlon on Tuesday. The event will make its debut July 20, 2019 at Alamitos Beach, near the proposed site of the triathlon competitions for the 2028 Olympics and Paralympics. USA Triathlon CEO Rocky Harris announced the event during a press conference at Shoreline Aquatic Park. U.S. elite triathletes Ben Kanute, who competed in the 2016 Olympics, Summer Cook and Matt McElroy were also in attendance for the announcement. The Legacy Triathlon will begin as an age-group race with a cap of 750 athletes. Participants will cover a sprint-distance course featuring a 750-meter swim, 18.9-kilometer bike and 5-kilometer run. Organizers say the event will eventually expand into a two-day multisport festival that includes both amateur and elite racing. Plans are for the elite component to begin as an ITU TriathlonWorld Cup and ultimately become a stop of the ITU World Triathlon Series — the highest level of elite ITU competition — in the lead-up to the 2028 Olympic and Paralympic Games. Organizers say other activities such as running and open-water swimming races, community outreach initiatives and live entertainment will join the lineup as the Legacy Triathlon continues to grow. 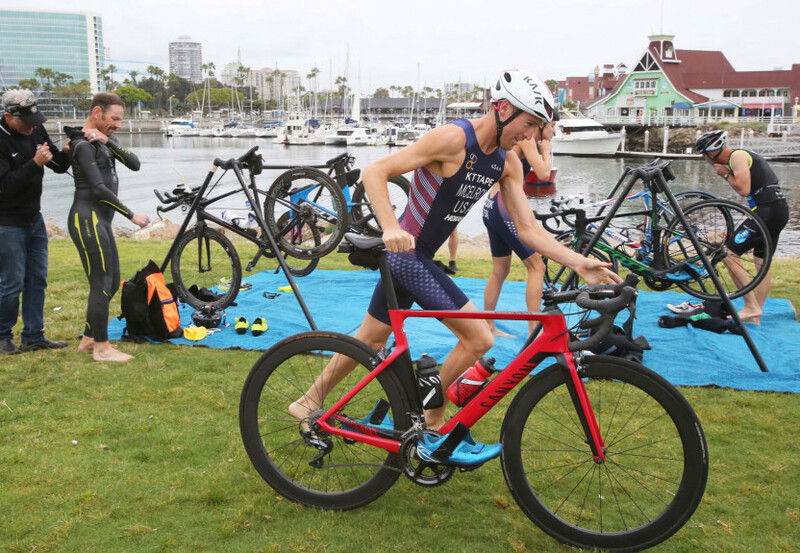 USA Triathlon also plans to increase multisport programming in Southern California as part of the Legacy Triathlon, including initiatives like the Splash & Dash Youth Aquathlon Series and USATri60 indoor triathlon series. The USA Triathlon Foundation has pledged a total of $100,000 ($10,000 per year through 2028) to support local community initiatives in conjunction with the Legacy Triathlon. Registration is now open at thelegacytriathlon.com.